In this, the third and final part of author T. W Korner's exploration of Joseph Fourier's work, we look at how his work complemented that of John Tyndall when it came to answering new questions about planet Earth. You can read part one: Remembering Joseph Fourier, and part two: Joseph Fourier: Breaking New Ground. Napoleon used to ask, when considering oﬃcers for promotion, ‘Is he lucky?’ Fourier was certainly lucky in his choice of subject, but he also, as readers of his great book can see, had the clarity of mind, physical intuition and mathematical power required to exploit it. 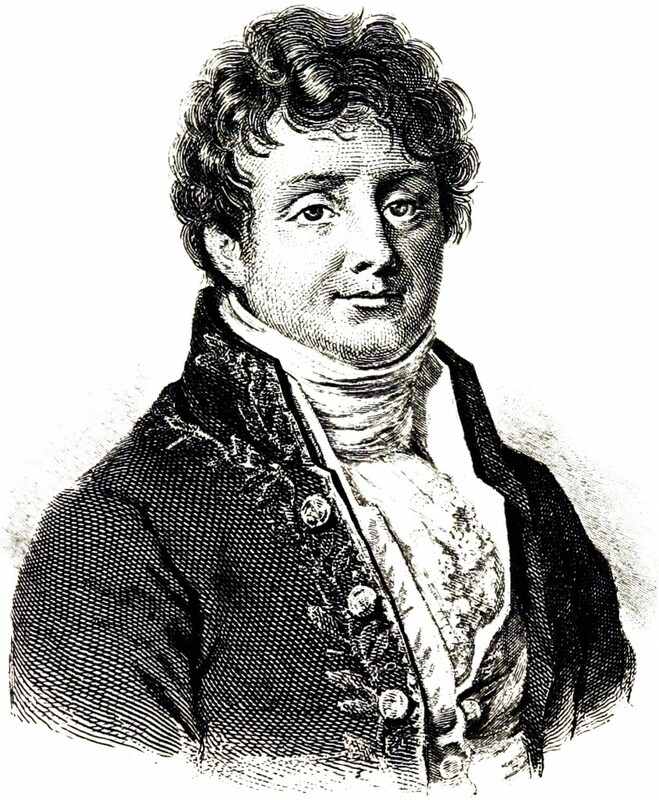 Portrait of Joseph Fourier, mathematician. His Collected Works (Oeuvres de Fourier) contain some very interesting anticipations of later work. One paper which now appears particularly prescient is a paper on the temperature of the terrestrial globe. Why is the world the temperature that it is? It is possible to extract the following argument from his paper. The earth is warmed by the sun’s radiation. The sun is very hot, so why is the earth not very hot? Answer, because the earth reradiates heat. But if the earth radiates heat, why is it not much colder (as indeed the moon is)? Answer because the atmosphere slows down the process of re-radiation. However, in his paper, this argument is mixed up with other arguments which lead to diﬀerent conclusions. As the century proceeded, the question of the earth’s temperature (or at least the temperature of the surface on which we live) became more central. In the sixteenth century, it was believed that the earth had existed for a short time during which its surface temperature was constant. Now evidence accumulated that not only had the earth existed for a long time, but that its temperature had not always been the same. There were indications both of periods of spectacular cold (the ice ages) and, less romantically, of spectacular heat. By the time Charles Darwin wrote The Origin of Species, he could include a beautiful passage on the eﬀect of past episodes of global warming on Alpine ﬂora. Just as Fourier was the ﬁrst to give an interesting answer to why the earth is the temperature it is, so John Tyndall (1820-1893) was the ﬁrst to give an interesting answer to why the sky is blue. JohnTyndall (1820-1893). Taken from the Smithsonian Institution’s digital collection of portraits on the Internet at Portraits from the Dibner Library of the History of Science and Technology. Licensed under Public domain via Wikimedia Commons. His answer has undergone substantial modiﬁcations by Lord Rayleigh and Albert Einstein, but his general idea of atmospheric scattering has proved correct. A keen Alpine climber, he was fascinated by glaciers and worked on their ﬂow. Glaciers led him to ice ages and thence to the problem of the earth’s temperature. By experiment, he was able to identify those gases, primarily water and carbon dioxide, whose presence interferes with the passage of heat radiation. Ice ages could, perhaps, be accounted for by relatively small changes in the chemical composition of the atmosphere. His results are given in Heat Considered as a Mode of Motion and Contributions to Molecular Physics in the Domain of Radiant Heat. 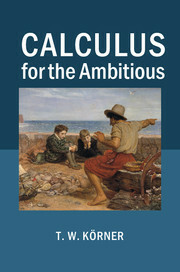 The Cambridge Library Collection contains these works and several others which reﬂect his desire to popularise science. It was not until the development of quantum theory that Tyndall’s discoveries could be understood from a theoretical perspective, and not until the middle of the twentieth century that the complexities of the misnamed Greenhouse Eﬀect were understood (what happens in greenhouses is rather diﬀerent). Mankind may now be in the position of a lobster in a very slowly warming pot but, thanks to people like Fourier, Tyndall and their successors, we do, at least, know what is happening to us. Go back and read part one: Remembering Joseph Fourier, and part two: Joseph Fourier: Breaking New Ground.